Expats who wish to operate a business in Bulgaria will need to comply with various rules and regulations, meeting the requirements set by Bulgaria’s government. With an employment rate of 53%, expats who wish to operate a business in the country will find that both citizens and legal immigrants will be asked for the same things as stipulated in the Bulgarian Commercial Law. 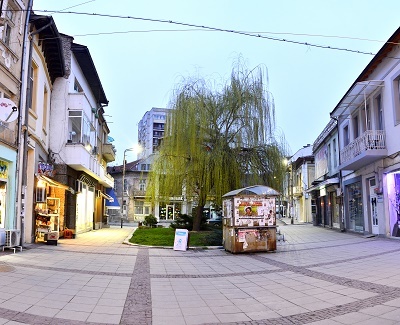 Enterprises set up by expats in Bulgaria are mostly limited liability companies and public companies, although they can also venture into other types of business activity. A business would first need to be signed up with the Central Commercial Register which is under the Registry Agency of the Ministry of Justice. For any modifications or changes made in the company, the same office will also have to be notified. To begin the registration process, the company's prospectus must be submitted to the Financial Supervision Commission. Upon approval, a license or permit to operate will then be issued. The requirements for the issuance of permits and licenses and for the approval of prospectuses are dependent on three business laws in Bulgaria - the Law on the Public Offering of Securities, the Law on Markets and Financial Instruments and the Law on Companies for Special Investment Purposes. There will be specific requirements though for companies who are operating on capital markets. Companies wishing to go public have to meet the requirements of the Law on the Public Offering of Securities as regards providing information and submitting accounts. All entities that have been licensed by the Financial Supervision Commission or which have obtained a trading permit under the Law on the Public Offering of Securities, the Law on Markets in Financial Instruments, and the Law on Companies with Special Investment Purposes are subject to specific requirements. The business climate in Bulgaria has been improving, with developments mostly coming from the construction retail and services sector. The news helps make investing in the country a viable idea for expats today who wish to set up a business or those who are seeking out job opportunities in Bulgaria.